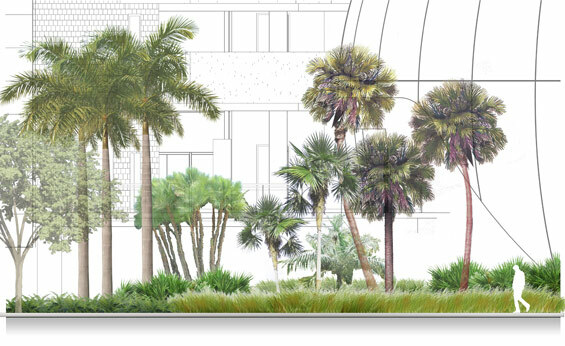 View from Biscayne Boulevard - Planting at grade has a native focus in which environment suggests planting strategy. 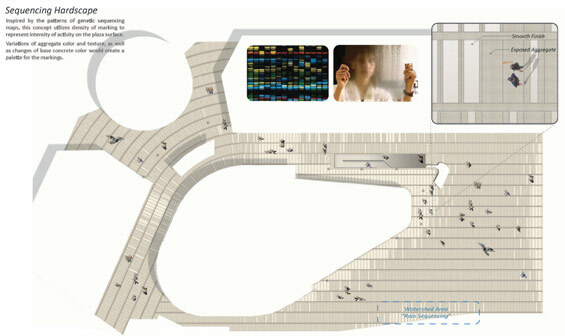 Landscape design for a 5 level, state of the art Science Museum in the heart of Downtown Miami. 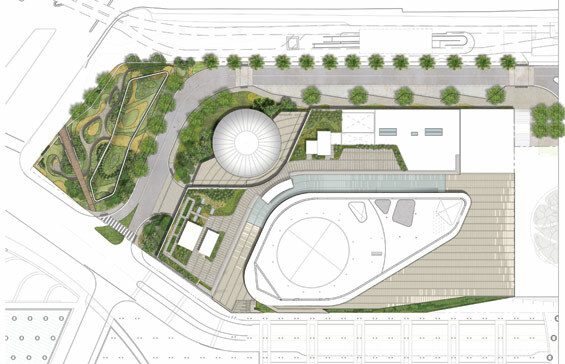 The site is comprised of 4 acres and will share an elevated plaza with the new Miami Art Museum. 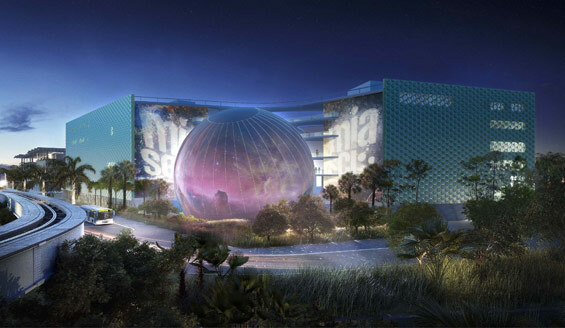 The Miami Science Museum will be an institute of technology, education and the environment, and the landscape design will serve as an extension of this. Outfitted with a 17,000 sf garden roof, ½ acre rain garden, and civic scaled plaza; the landscape design plays a major role in the Museum experience. 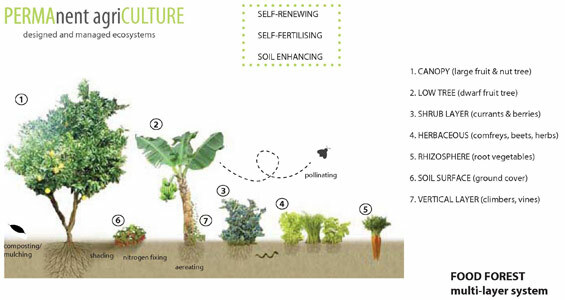 In addition to illustrating regional landscape types, this “functioning landscape” reduces water use, improves water quality, enhances biodiversity, provides educational opportunities, and even produces food. 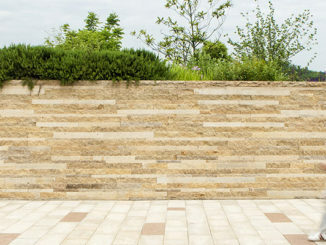 Sequencing Hardscape - Inspired by the patterns of genetic sequencing maps, the hardscape pattern utilizes density of marking to represent intensity of activity on the plaza surface. The plaza provides civic open space for public and museum-related events, and screens sub-grade parking. A planned art and event space will link it to the Miami Art Museum. 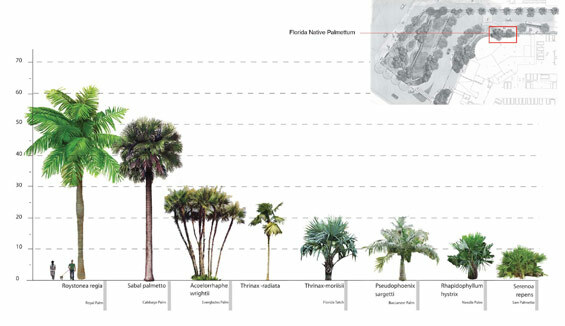 A collection of palms or “palmettum” will be on display at ground level to highlight native palms of Florida. Food Forest/Permaculture Diagram - The “food forest” sites on the green roof and as 500 sf of raised planter beds utilized for food production. Planting at grade has a native focus in which environment suggests planting strategy. 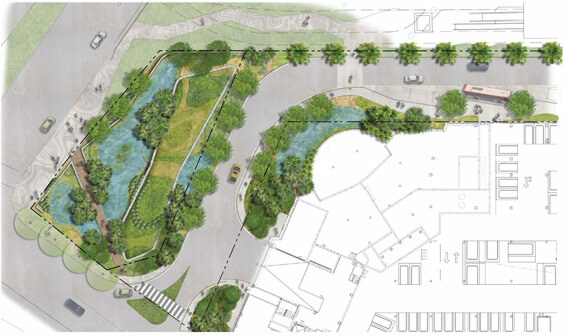 A ½ acre rain garden fronting Biscayne Boulevard affords a decorative landscape that provides stormwater attenuation for Museum Drive, reducing the need for retention and infrastructure. Irrigation demands and potable water use have been mitigated throughout the project by the use of native, drought tolerant planting as well as stormwater collection to a 25,000 gallon cistern. Ground Level Landscape - Native planting and micro-habitats cover the site reducing water demands and enhancing urban ecology. Science Museum outparcel shown in a “flooded” condition. 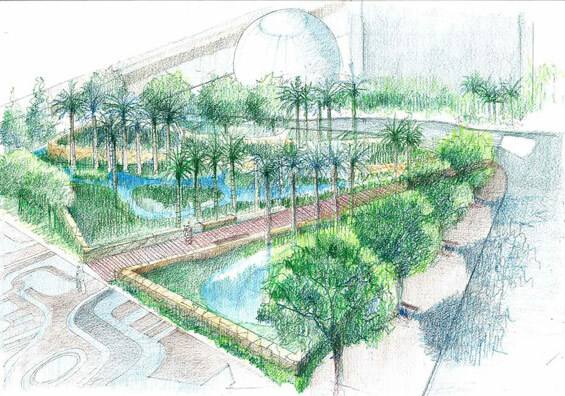 Miami Science Museum’s outparcel works to accommodate stormwater runoff from adjacent streets. The .5 acre site can accommodate over 7,000 cubic feet of stormwater runoff.